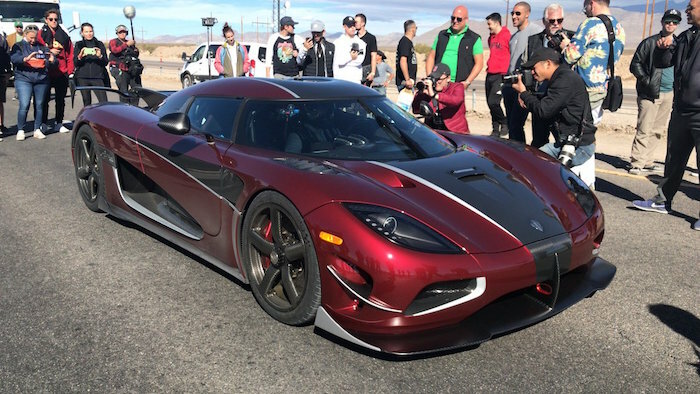 Two runs in the Koenigsegg attempting to break the World Production Speed Record on a closed road in Nevada. Data and video recorded using a Racelogic VBOX HD2. 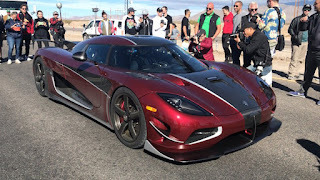 This video shows two of the three runs, the other run was in the opposite direction in order to obtain an average.The 1,360 horsepower Koenigsegg Agera RS supercar was driven by factory driver Niklas Lilja at an average speed of 277.9 mph. 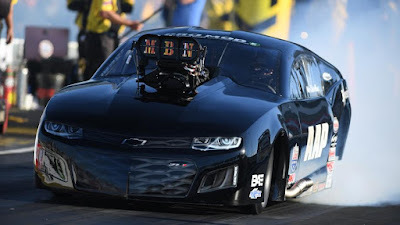 It beats the old record set by a Bugatti Veyron Super Sport in 2010. The Koenigsegg Agera RS pumps out 1,360 horsepower and 1,011 lb-ft of torque directed to the rear wheels. For now the Swedish supercar maker owns the record. The record was recorded using a Racelogic VBOX HD2 and two of the three runs were recorded from the cockpit you can see below.